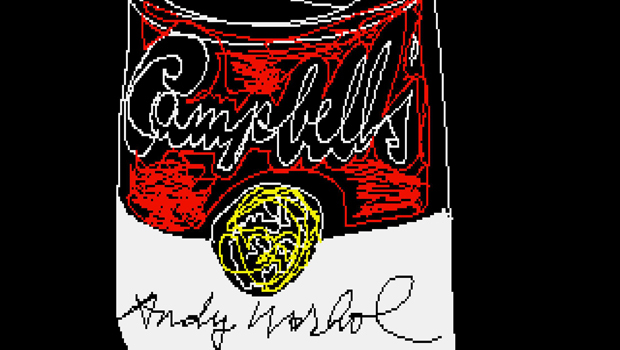 PITTSBURGH - Cybersleuths have unearthed images that Andy Warhol apparently made on a computer in 1985. The Andy Warhol Museum in Pittsburgh says in a release that the artist had a contract with Commodore International to produce images on one of its Amiga home computers. The old images recently were extracted from disks by members of Pittsburgh's Carnegie Mellon University Computer Club in collaboration with museum staff. The museum says the images vary from doodles and camera shots of a desktop to versions of Warhol's classic images of a banana, Marilyn Monroe and a Campbell's soup can. Museum director Eric Shiner said Warhol "saw no limits to his art practice." "These computer generated images underscore his spirit of experimentation and his willingness to embrace new media - qualities which, in many ways, defined his practice from the early 1960s onwards," Shiner said.